Naidu made the observation while unseating Sharad Yadav and Ali Anwar Ansari from Rajya Sabha late Monday night on the basis of the petitions filed by JD(U) floor leader Ram Chandra Prasad Singh. Making a strong pitch for adjudicating disqualification cases by presiding officers within three months, Rajya Sabha chairman M Venkaiah Naidu has observed that a dispute pending before the Election Commission (EC) of India is “not germane” in judging a disqualification petition. Naidu referred to Rule 7, which states that a member, against whom a petition had been made, will forward his response within seven days. This, he said, was “indicative of the intent of the Rule”. He pointed at a “widespread criticism of some Presiding Officers, who did not take a decision on the disqualification petitions” within a “reasonable time”. He cited the case of Speaker, Haryana Vidhan Sabha Vs Kuldeep Bishnoi and Others and pointed out that the Speaker took about four years deciding the petition for disqualification — and that, too, after the SC, on September 28, 2012, directed the Speaker “to decide the petition within three months”. About the practice of referring disqualification cases to the Committee on Privileges, Naidu said a preliminary inquiry by it caused a delay in determination of the final question, “which is against the very grain and object of the Tenth Schedule”. He observed that it was not mandatory to refer every case to the committee. And even after a preliminary inquiry by the committee, “it is for the Chairman to finally analyse facts and come to a final conclusion…. Keeping in view these facts, I decided to proceed with the determination of the question of disqualification of the Respondent myself”. Regarding Sharad Yadav’s case, Naidu said he had figured out that instead of specifically denying the allegations of anti-party activities levelled by Ram Chandra Prasad Singh against him, Yadav was seeking to establish that Nitish Kumar’s decision to pull out of the Mahagathbandhan, and to align with the BJP, had led to a split in JD(U) — one led by Nitish and the other comprising him and his supporters. 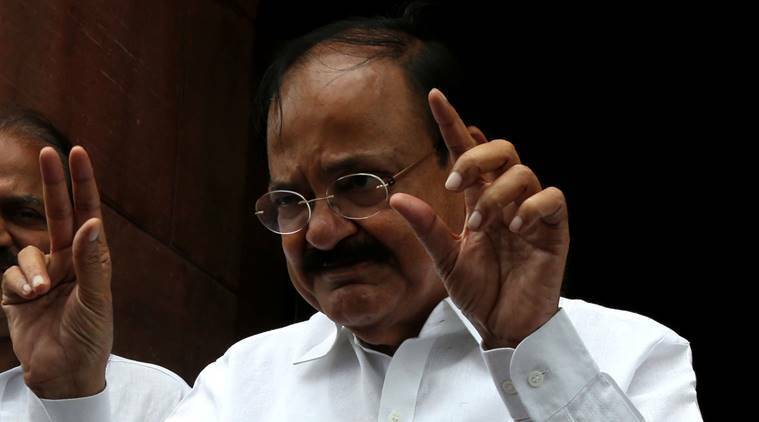 Naidu said Yadav tried to establish that his group commanded majority-support within JD(U), and that a dispute in this regard was pending before the Election Commission.